Islamic-majority ‘model democracy’ challenged by religious-based political furor. (Morning Star News) – Having concluded their investigations, Indonesian police have now named Jakarta’s ethnic Chinese Christian Gov. 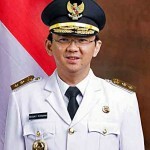 Basuki “Ahok” Tjahaja Purnama a suspect in a blasphemy case. The case that has produced virulent protests will now to go trial. Islamic fundamentalists are now demanding he be arrested and incarcerated, as is normally the case with blasphemy suspects in Indonesia. As tensions soar, debate swirls around whether the charge is political or religious. Ahok himself is certain he is not guilty of blasphemy. Not wanting to blame Islam, he maintains the charge is purely political and is confident that any testing of the charge will see him acquitted. Meanwhile, Indonesia’s fundamentalist Islamic clerics are certain Ahok has indeed blasphemed, giving them exactly what they were looking for: a means of removing him from the gubernatorial race. Ahok’s political opponents are merely riding the wave, exploiting Islamist outrage for their own benefit. On Feb. 15, 2017, Jakartans will go to the polls to elect a new governor in a high-stakes election. It will be a three-way race pitting incumbent Ahok and Deputy Gov. Djarot Saiful Hidayat against the Anies Baswedan-Sandiaga Uno and Agus Harimurti Yudhoyono-Sylviana Murni tickets. Analysts are expecting a two-round contest. • Ahok, the early favorite and frontrunner, is backed by Megawati Soekarnoputri’s Indonesian Democratic Party of Struggle (PDI-P). • Anies Baswedan, the former culture and education minister, is backed by Lt. Gen. Prabowo Subianto’s Gerindra Party and the Islamist Prosperous Justice Party (PKS). Indonesia’s fundamentalist Muslims have long opposed Ahok. 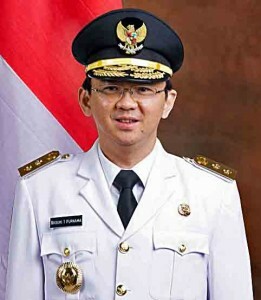 Elected as deputy governor in 2012, running with Joko Widodo (“Jokowi”), Ahok ascended to the governorship in the wake of Jokowi’s 2014 election to the presidency. In a foretaste of things to come, Jakarta’s Islamic hardliners – led by the Islamic Defenders Front (FPI) – were quick to protest, vowing to resist the “kafir” (unclean), “infidel,” “devil” governor. In a commentary piece entitled, “Violent Protests in Indonesia Blow an Ill Will for Religious Tolerance” (10 Nov.), Durie refers to “Ibn Kathir, an authoritative medieval commentator on the Qur’an, [who] explained this verse as follows: Allah forbids his believing servants from having Jews and Christians as allies or patrons, because they are the enemies of Islam and its people, may Allah curse them.” According to Durie, Ibn Kathir makes it clear that the only valid law is sharia (Islamic law); that only a Muslim can rule over Muslims; and that anyone who looks to an infidel for political or legal direction should be considered an infidel – an apostate. As tensions escalated, an Australian Broadcasting Corporation (ABC) News film crew led by Indonesian correspondent Samantha Hawley visited the Al Furqon mosque in central Jakarta. Cleric Alwi Wahid’s message was clear: “Be careful on the judgment day,” he preached. “God will ask you, why did you choose the infidel as the leader, while I have warned you not to. Believers should not choose a non-Muslim as their leader,” he said before warning the congregation that there would be “bad consequences” for those who vote for a non-Muslim. Mohammad Siddik of the Indonesian Supreme Council for Islamic Propagation told Hawley: “Muslims call the people not to vote for Ahok because we are also guided by our faith, by the Koran.” He also warned that a non-Muslim being elected to the governorship could lead to instability. Indonesian Islamists are receiving strong support from transnational Islamists. On Oct. 29, photographs appeared on social media of non-Indonesian and fully armed members of Jabhat Fatah al-Sham, (previously known as the al-Qaeda’s al-Nusra Front, Syria) holding signs that read “Sentence Ahok or We Will Sentence Him with Bullets,” and of jihadists standing in front of a large wooden box labelled “Ahok’s Coffin.” On Nov. 4, as Indonesian Islamists prepared to rally in the street of Jakarta, Islamic State (IS) used its messaging services to encourage supporters to use the rally “to fan the flames of jihad” across the country. On Nov. 27, National Police hinted that some radical groups linked to IS were planning to infiltrate a Dec. 2 rally. By Oct. 5, video footage of the speech had gone viral on YouTube, and Islamic fundamentalists were claiming that Ahok had blasphemed against the Koran and the clerics. On Oct. 10, Ahok apologized “to all Muslims and anyone who felt offended,” saying it was not his intention to slight Islam or the Koran. But it was in vain. Having taken up the sharia cudgel of anti-blasphemy, his opponents were not about to put it down. On Nov. 1, the Lowy Institute published an important piece by Indonesia expert Sidney Jones. In her article entitled, “Why Indonesian extremists are gaining ground,” Jones slams Indonesia’s “spineless political leaders [who] have allowed extremists to seize the momentum and foment religious hatred against the governor.” She explains how the anti-Ahok campaign “brings together violent extremists, moralist thugs and powerful political interests. And because of the latter, no one dares challenge it.” She laments that conservative Muslim opposition to Ahok is no longer merely “noise in the political background” but a serious threat to Indonesian unity and security. She wonders why no one – not the president nor vice-president nor any pluralist politician – said “Let’s stop this in it tracks,” or did anything to try to cool tempers or even defend the constitution. On Oct. 11, the day after Ahok apologized, the Indonesia Ulama Council (MUI) – Indonesia’s top Muslim clerical body – held a meeting in which they determined that Ahok had indeed committed blasphemy and should be prosecuted. • Surah al-Maidah [Koran, chapter 5] explicitly forbids non-Muslims from becoming leaders. • To say that the prohibition against making non-Muslims leaders is a lie constitutes an insult to the Koran. Even before Ahok had been officially named as a suspect, some 100 lawyers had come forward to defend him. So as to maximize transparency, the trial will be open to the public and televised live. President Joko Widodo wants it over in two weeks. According to Harsono, a newspaper editor was acquitted of blasphemy in 1968, while in 2012, Alexander Aan, a 30-year-old civil servant from Sumatra, was sentenced to two-and-a-half years in prison after he declared on his Facebook page he was an atheist. “Indonesia had its chance to repeal its blasphemy laws — a legacy of the dying days of the Sukarno era,” Harsono notes. “The late, liberal Muslim scholar and former president Abdurrahman Wahid led an unsuccessful 2009 petition of the Constitutional Court, arguing the laws violated the enshrined right to religious freedom. His daughter Yenny says he was motivated by the escalation of blasphemy charges under successor Susilo Bambang Yudhoyono [SBY]. While the situation is indeed dire, some political analysts believe Ahok could still manage to turn the situation around. “Of course,” surmise analysts at Coconuts Jakarta, “even if Ahok plays his cards perfectly, there is still the chance that he could lose in court and be found guilty of blasphemy, landing him in jail and almost certainly putting an end to his political career. Whatever the outcome, this is a watershed moment for Indonesia. Indonesia will either appease Islamists and further Islamization, or it will resist Islamists and reject Islamization. At the end of ABC’s 7:30 Report report, Samantha Hawley asks Abu Jibril, leader of fundamentalist activist group Majelis Mujahidin, what he thinks of the idea that a Christian could one day be president of Indonesia?